This is a major paradigm shift from traditional drawing practices. In the past, this may have sounded impossible, but with SOLIDWORKS' constant innovation and improvement of their tools, SOLIDWORKS 2017 has made this paradigm shift a reality. What is MBD, and what is PMI? MBD stands for Model-Based Definition, where we use the 3D model to provide all the manufacturing information within a 3D environment. This helps streamline production, cut cycle time, reduce errors and support industry standards. 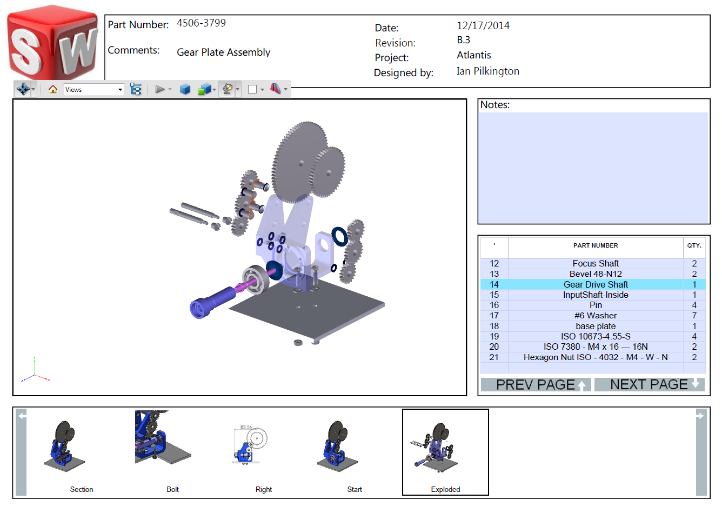 Product Manufacturing Information (PMI) takes it one step further by allowing you to add dimensions, tolerances, model data, surface finish, weld symbols, Bill-of-Materials (BOM), tables, notes and other annotations. SOLIDWORKS 2017 also allows the user to add attachments, ensuring the manufacturer has all the information required to make the product. Time is a commodity. By implementing SOLIDWORKS MBD, time is saved by not creating a 2D drawing and simply focusing on the 3D model in a 3D space. Placing all the information there allows the user to reduce the drawing process greatly. This does not mean we are totally paperless since this will still allow the user to generate 3D PDFs and eDrawings, which can be printed off if necessary. The beauty of the tool is its ease of use. Almost everyone can view or read a 3D PDF, which helps reduce the need for a variety of CAD viewers or maintaining multiple CAD platforms. Dimensioning is much faster, and ensuring your design is in compliance with ASME Y14.41, ISO 16792 and DIN ISO 16792 is easier than ever with the automatic dimensioning capability. 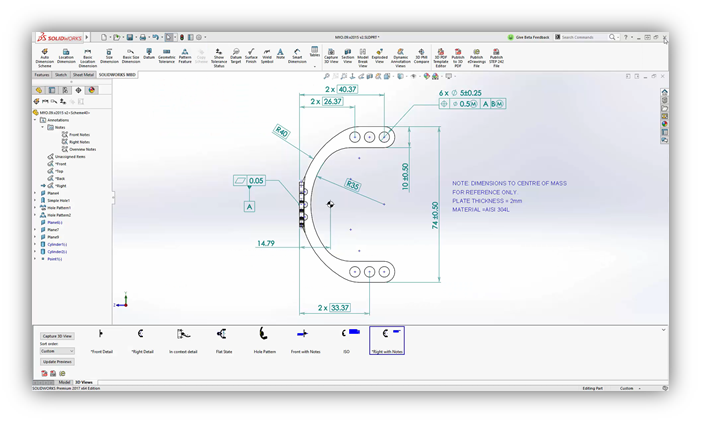 With SOLIDWORKS 2017, you can select edges and apply dimensions as easily as you could in 2D drafting. No longer are you limited to selecting surfaces. Additionally, a user can add notes wherever they like within the display area, which offers even more freedom to lay out the design and provide all the notes required for manufacturing. Perhaps one of the greatest features of all is the ability to add an attachment, so the assembly file or STEP file may be sent with the PDF document at the same time. It also complies with MIL STD - 31000A, so your company can submit bids for those high-profit government projects, opening a whole new world of possibilities. 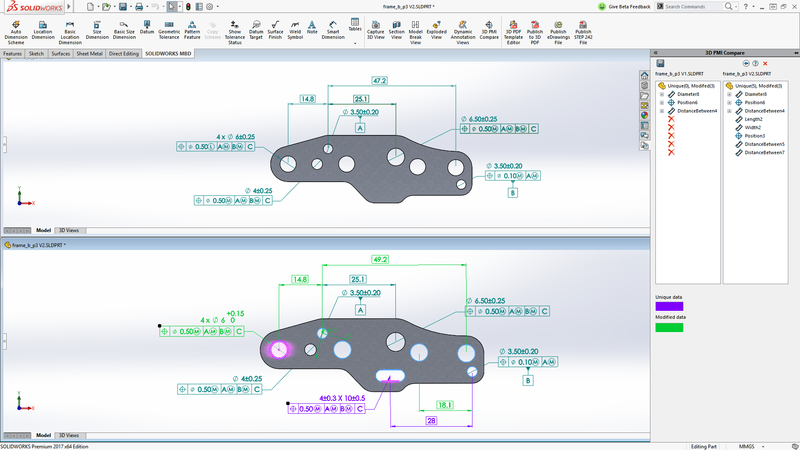 3D PMI Compare Wizard which quickly identifies model dimension and tolerance changes. 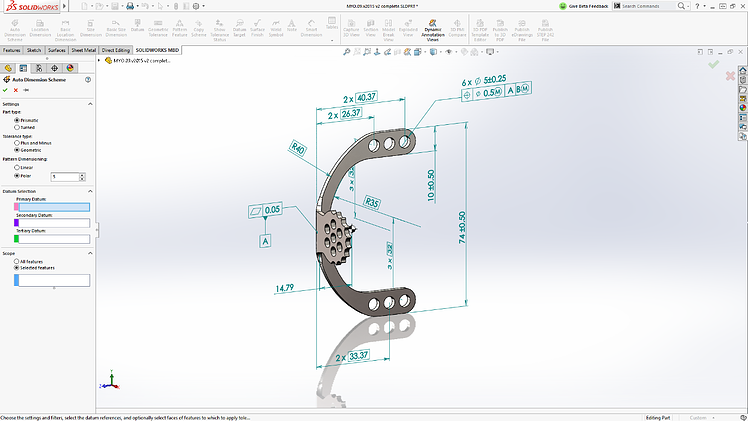 If you have not looked at SOLIDWORKS MBD recently, it is well worth the time to do so, especially with this new release. 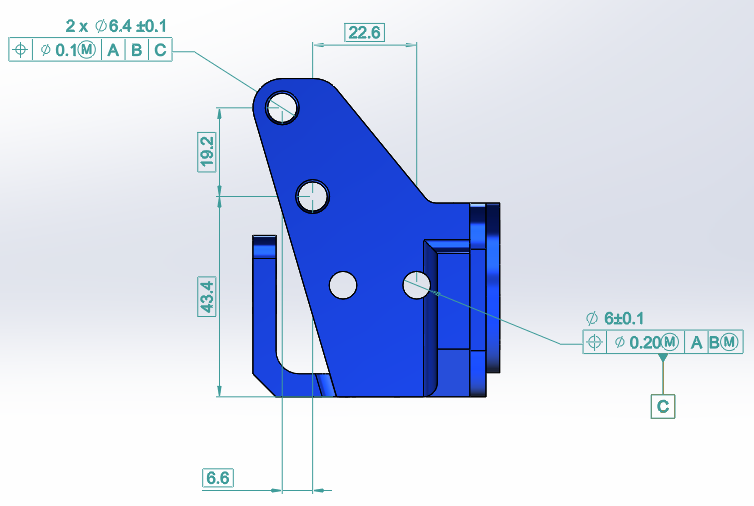 Soon, 2D drawings will be a thing of the past, and SOLIDWORKS MBD will be the primary means of communicating PMI.